﻿ Overview - Business - NOJIRI METALS CO. There are limits to the natural resources stored in the earth. Recycling is seen as one of the major theme in today’s world. 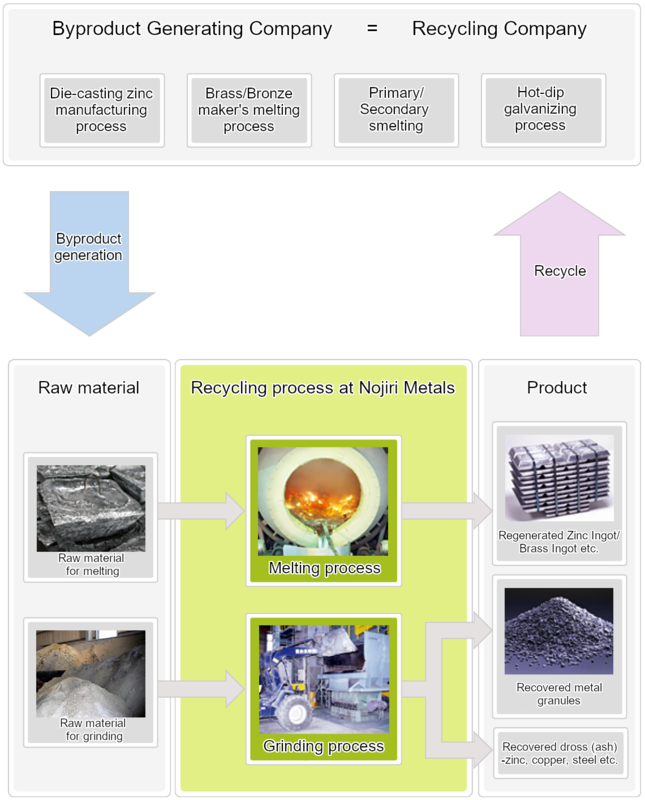 Nojiri Metals is a recycling company that regenerates zinc, brass and copper alloys using industrial byproducts as raw materials through melting and grinding process. We are fully committed to our social responsibilities in pursuing a better future.